Doesn't this desk calendar from bomobob on Etsy just make you feel so joyful? When I first joined a CSA, I remember feeling so good about the fact that I was living my values. As a handmade entrepreneur, you are living your values by creating an authentic business for yourself. But are you supporting other creative businesses? It’s easy to scrimp and save when bootstrapping our Etsy shop or other new opportunity, but it’s also important not to do that at the expensive of the values you are trying to create in the world. Do you want others to pay a bit more for a handmade item? Then you should be willing to also. One thing a lot of crafty businesses have in common is the desire to control your time — how you schedule it, what you do with it, how much you have left after finishing work. 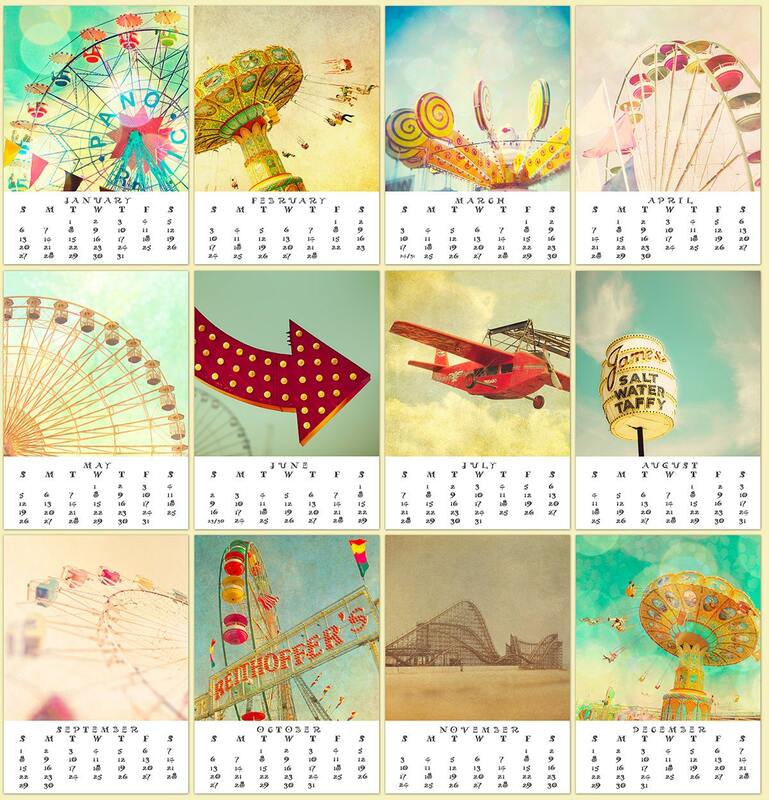 So what better way to start incorporating handmade into your business then with calendars? Everyone needs a calendar — they can help you set goals, organize your schedule, and keep notes. Did I mention they can also be beautiful and inspirational? The tools will change. Your values can stay the same. A friend of mine recently said this at a tech conference talk, but I think it’s applicable in so many places. The stock market goes up and down. Your desire to paint wanes but you pick up embroidery. You lose a friend, but gain a new one.